Wouldn’t you want your dishwasher serviced by an expert? 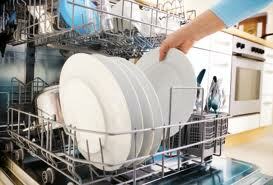 To be sure of that, call us each time you want dishwasher repair in Houston, Texas. The results are great and the service is provided promptly by a qualified pro. And we won’t only be of service when you’ve got troubles but every time you decide to maintain or install a dishwasher. We dispatch the most qualified and experienced appliance repair experts in Houston to all services. Call us as soon as you notice there is a problem with the kitchen appliance. We are at your service for a speedy dishwasher repair. No matter which type of a dishwashing machine you own and regardless of the problem, the appliance is repaired in an effective way. After all, our company partners up with qualified and certified techs that can service any dishwasher model and brand. They come well-equipped and ready to fix any problem and replace any damaged part. Are you in a hurry to find a Houston dishwasher technician? Don’t you worry! 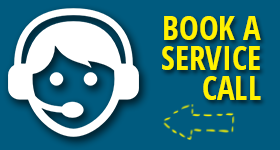 We do our best to serve your needs fast and can have a pro to your home the same day of your call. Is the dishwasher leaking? Is it overflowing? Call us. Relax knowing that the response of the pros is fast irrespective of the issue. Whether the dishwasher is not starting, draining, or filling, a tech will be there quickly to fix it. One of the best ways to avoid sudden troubles is regular dishwasher maintenance. When the service is regularly provided, the appliance parts are thoroughly checked and often replaced and so the dishwasher runs as it should. Once more the techs come out well-equipped. They use the best equipment for the dishwasher troubleshooting and thus define all defective parts and have the appliance fine-tuned. Did you decide to buy a dishwasher or replace the existing one? Be certain it runs properly by leaving the dishwasher installation to our company. Once again, we will send you a qualified pro to offer the service. With hundreds of similar projects under their belt, they can install any dishwasher you get. Don’t underestimate the importance of this service. If it’s not done correctly, you will run into problems. Make sure the appliance runs well by always turning to us for Houston dishwasher repair and installation services.